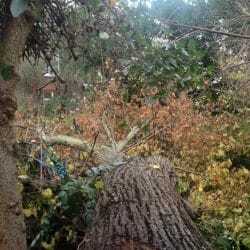 Bad weather can cause damage to our gardens, and if a tree has been uprooted, it’s important to seek professional help from an arborist who can safely remove the tree, quickly resolving dangerous situations. 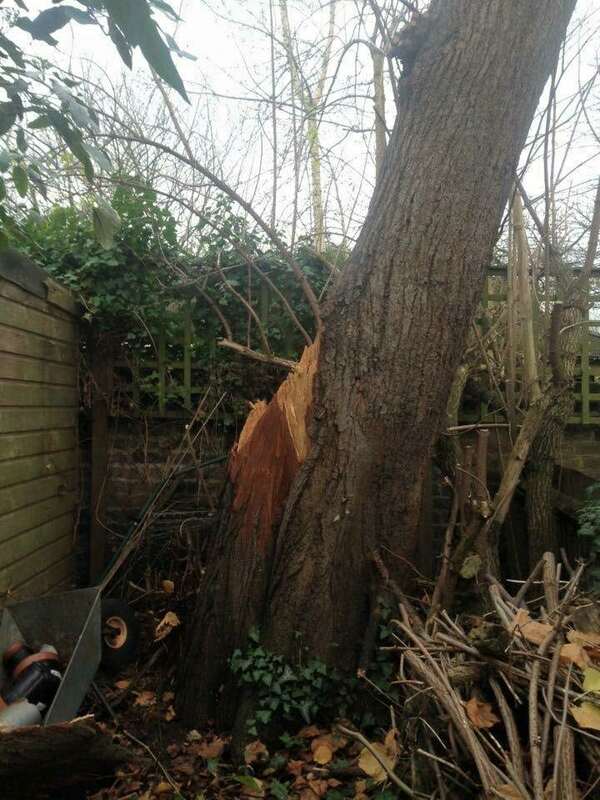 That’s exactly what our client did in February 2016, inviting us to their home in Barnes to assess a large lime tree which had partially blown over in strong winds. 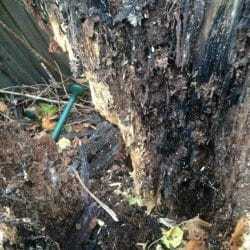 This was a difficult job, and it was essential we removed the tree without causing any further damage to the gardens of both our client and her neighbours. 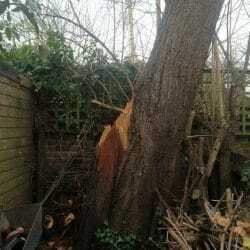 This London homeowner was on holiday but had heard one of her lime trees had been damaged in the wind and was now precariously overhanging their neighbour’s new summer house. With extreme concern about the situation and being away themselves, they gave us a call. 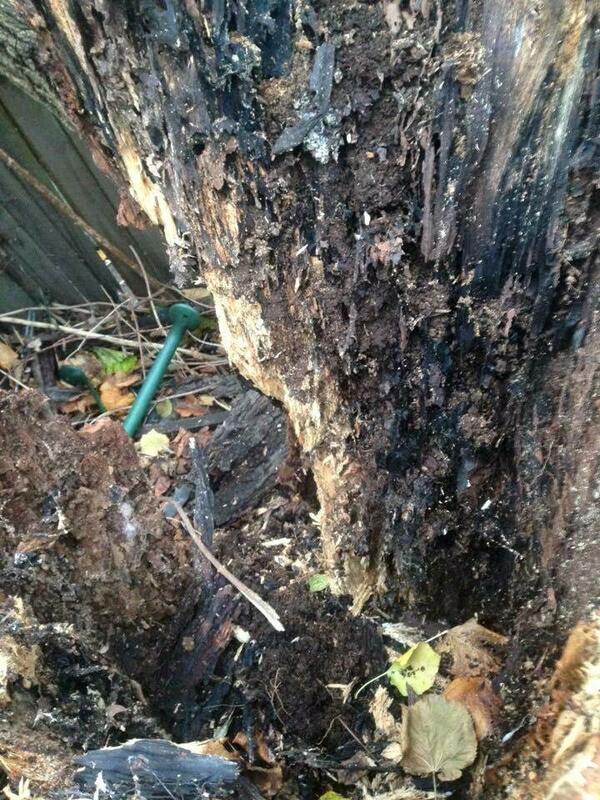 We visited on the same day to view the condition of the tree and give our client peace of mind. Upon inspection, we realised it had fallen in an extremely dangerous position and it was only a matter of time before it fell. 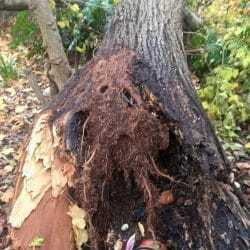 With its root system heaved out of the ground, another strong gale would have ripped it out completely, destroying their neighbour’s new summer house. 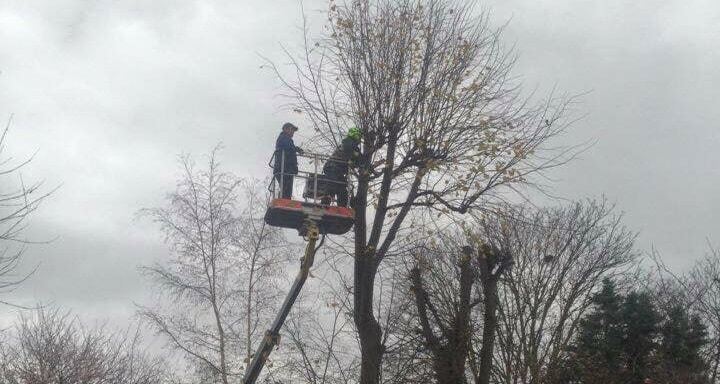 Unable to withstand additional weight and located in the client’s rear garden, we were limited in both access and in hiring a mobile elevated work platform which we’d usually need to cut the tree down safely and minimise the risks of damage to the property. 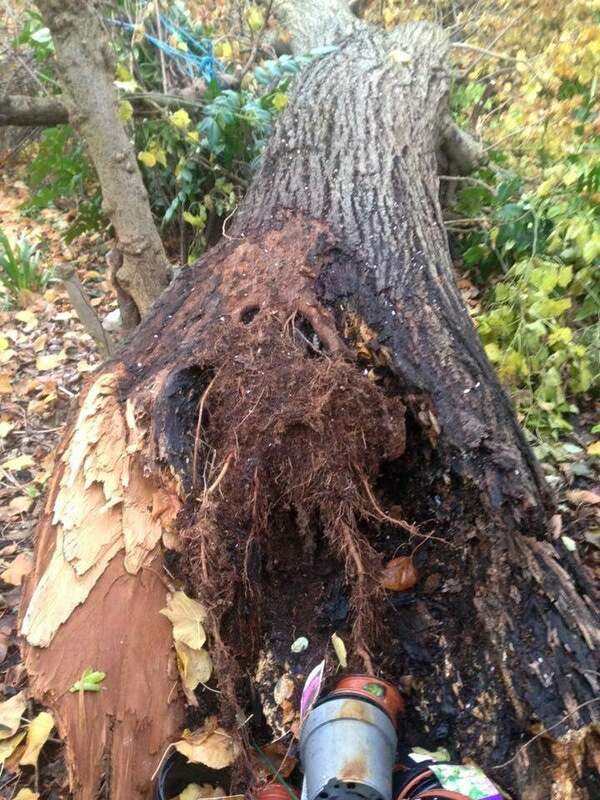 It was essential to find a solution to remove the tree safely from the garden. The best site for the removal could be reached by gaining access to a neighbour’s property which would also result in bringing machinery into their front garden. Luckily, they were very understanding about the situation and granted us the access we required. With a tight driveway and limited space, we were able to locate a narrow access MEWP (mobile elevated work platform) which we got delivered the same day. 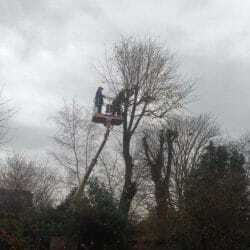 We set up our site in the neighbour’s garden, removing each part of the tree safely and efficiently without causing any damage to either garden. Our client was over the moon with the results after we gave them a call and sent over the images of the finished site. With stress levels kept to a minimum, she could now enjoy the rest of her holiday with the peace of mind the situation had been resolved. Don’t sit and worry about your garden. 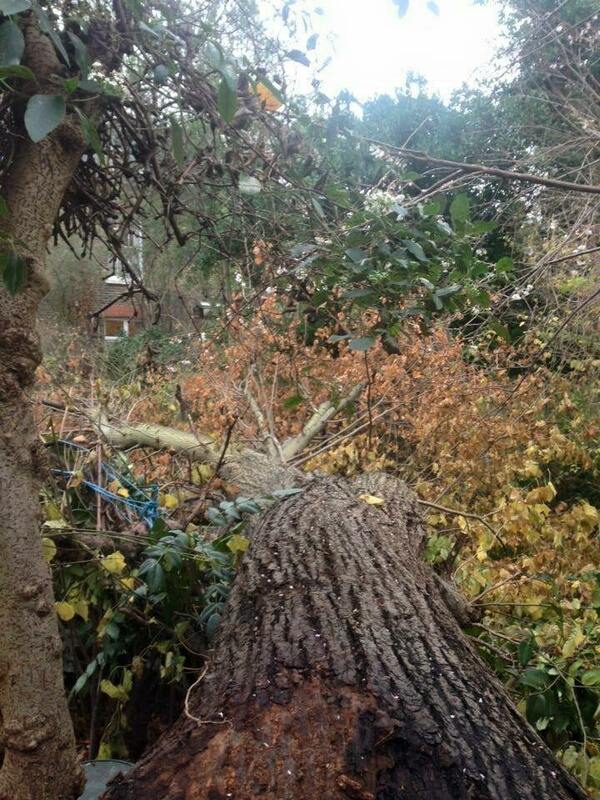 Our team of professional arborists in Cobham are fully insured and trained to resolve most issues you can think of when it comes to trees, hedges and garden clearance. 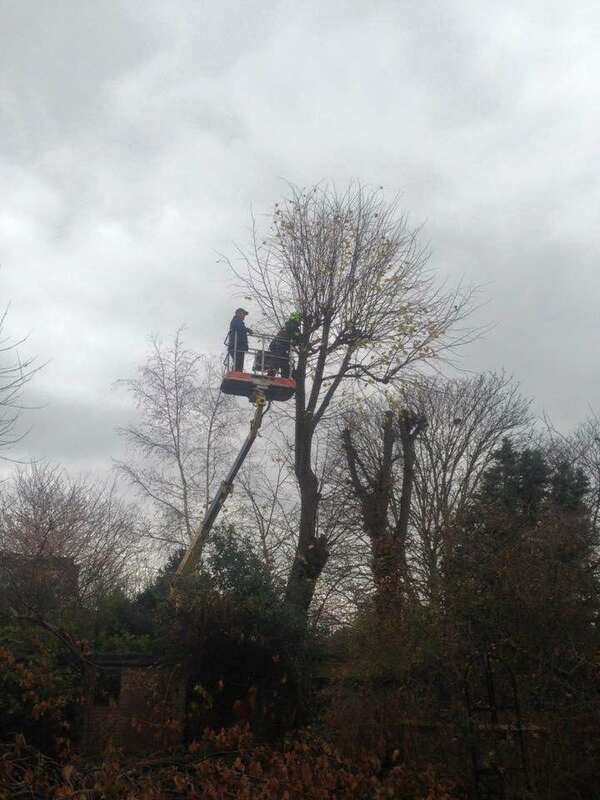 Here at DH Tree Services, we offer a wide range of reliable services, including tree felling and removal, pruning, stump grinding and planting. To speak to one of our expert tree surgeons about our high-quality tree services and garden care projects, get in touch now.